Dan Wright: I first started coaching in 2004, I set up a Sunday league club for my friends and I, we wanted to build something a bit different and took my FA Level 1 straight away. This led on to my Level 2 immediately after, I was told by my tutor Nigel Quincey to take the UEFA 'B' straight away, so ended up taking the 3 badges with 4 years. DW: This is one area I'm working on. I believe you learn something from everybody you work with; players and coaches. At this stage of my career it is the players I've learnt the most from, having never played a fantastic level I learn a lot working with some excellent young talents. DW: My aim is to produce technically proficient players who understand the game and make great decisions. I like to coach through game related practices and small sided games that recreate pictures that players seen in a game. DW: YES! Winning has become a dirty word, but it's not winning that's the problem, it's putting it above everything else, that's the issue. The win at all cost mentality in youth football is a problem. Putting results over performance at under 8 is wrong. Kids play the game to win, so ignoring the result is silly, however it's only one indication of the performance. My view is focus on the processes, the small details and the results will look after themselves! DW: Great question! I think it varies from age to age. Initially in the foundation phase I'm looking for players that are enthusiastic, that move well, can problem solve with creativity and individual ball mastery. As this develops through the age groups the ability to combine with other becomes important and then their understanding of the role in the team, and finally how this changes between transitions. As players getter older I would say the individuals that are committed to their improvement are the ones that truly reach their potential. Players that I've coached who have gone on to earn professional contracts have been 100% focused on being the best they can be, they know that small details can have huge impacts. BfF: You describe yourself as a student of the game. What do you consider to be the best way through which you learn? DW: For me learning is formal and informal. You learn a lot from the FA courses but I learnt more working with a reserve squad for 1 season for example. I try to build up as comprehensive knowledge as possible. This means watching as much football as possible - preferably live, watching great coaches coach, reading books - on all aspects of coaching, psychology, learning styles, autobiographies and journals and networking with other coaches who challenge your thinking, twitter is great for this..
BfF: You also say that your relationships with players are based on trust and value that you can add to the game. First of all, what do you mean by that? DW: When working with young players they naturally respect coaches, you older and taller and they generally work in environments where adults are in charge! 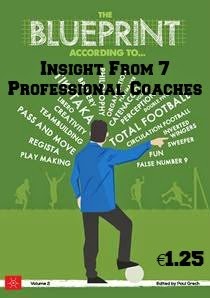 However in sport this can be challenged, the better footballers tend to question coaching, which I encourage, if you know your stuff I would encourage dialogue with players. As players get older they start to have an opinion, this where I would say I build relationships with players. By varying your coaching style and your intervention techniques you can start to drip feed information to players. By giving information or small pointers you get in to dialogue with players, this shows they're learning, it also gives you chance to give your opinion and hopefully improve their game. BfF: Secondly, how do you achieve that? 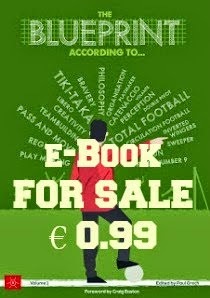 DW: This is the art of coaching, seeing the problem, knowing your players and then picking the right technique to communicate it successfully. Like I said having never been a great a player I often use phrases like 'What did you think...? ", "Have you thought about..", "Could you try...". When these hints work, players come back for more and start to trust your insight and opinion. I try to build trust and respect rather than just expect it. BfF: You spent a couple of years at Eastleigh FC's academy. What are the main challenges of working with youths at that level? DW: At that this level it's contact time that's the problem. The coaching was all funded from parents so the players came in once a week from U8 to U15, at U16 this went up to 2 sessions a week and then on the scholarship they would train 4 mornings a week. There are many talented young footballers but every year they are out of EPPP clubs the gap just gets bigger and bigger. BfF: And is there any upside? DW: The upside is helping young players fulfil their potential and giving players that opportunity to make the jump. The impact you can have is huge, you can take players from grassroots clubs to the football league. DW: I've achieved more than I thought I would but I'm never satisfied. I'm very hungry and ambitious, I would like to look back when I retire and think of all the players I've helped along the way that's what I find rewarding. 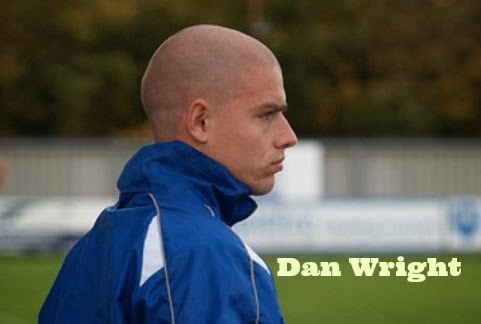 Dan Wright's blog can be found here whilst he can also be reached on Twitter. Nice article! He can be a good example for those who dream of being a professional soccer coach. His story is very inspiring, I like his determination on being good in his chosen field.